I am very pleased to announce the release of my latest picture book: The Incredible Adventure of Fingers and Boston. This beautifully produced ebook is a graphics-rich story of some 111 pages, suitable for the younger reader. 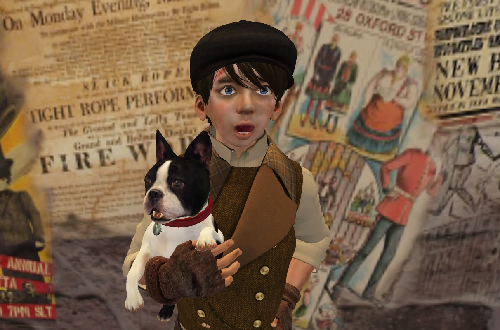 It tells the story of how Edward Croydon (also known as “Fingers the Pickpocket”) finds a stray Boston terrier on the streets of New Babbage. Upon looking for a nametag, Fingers finds a strange-shaped disc hanging from the terrier’s collar. 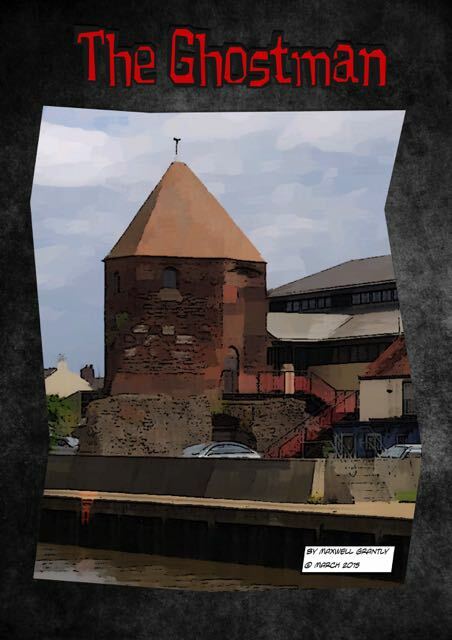 The discovery of this weird dog tag leads Fingers (and his new canine friend) into an exciting adventure that leads across the length of the steampunk town. If you love reading on a Kindle or other device, why not share your joy of stories with the younger members of your family too. This story is ideal for reading aloud and the beautiful illustrations are guaranteed to capture the interest of young excited minds and develop their sense of wonder and imagination. Sprocket loves his work and takes great pride in packing tin cans neatly into wooden crates. One day Sprocket catches a fleeting glance of a sparrow, perching outside on the factory windowsill, and he becomes entranced by the natural beauty of the tiny creature. He tries to share his newfound excitement of the sparrow discovery with his fellow robotic co-workers, but to no avail. Sprocket remains fascinated with his chance glimpse of the sparrow and decides to escape from Mr. Rivet’s tin can factory to try and trace the small bird. His adventures lead him to the adjacent woodland where he makes a terrible discovery that could change his life, the sparrow’s home and the entire future of Mr. Rivet’s tin can factory. Will Sprocket save the day? When Leif finally proposes partnership to Tia, he knows that he must approach the village elders for their consent to the union. As is dictated by elven law, their permission always involves the completion of a “Gallant and Noble Quest” and so Leif decides to show the extent of his love by embarking on the most dangerous quest imaginable: the crossing of the Great Rift. No elf from the Kingdom of Fantasia, in living memory, has ever embarked on a mission as treacherous as this. Leif encounters a range of hazardous dilemmas, meets strange new creatures and discovers to his cost that (sometimes) it is unwise to act beyond one’s capabilities.